A master of the kalimba of his native Cameroon, Njacko seamlessly blends the rhythms, melodies and vocal styles of his homeland with the most euphoric and blissful sounds from the world over. Njacko’s music performance can instantly enchant his audience into a festive and ecstatic mood. Njacko currently lives in Toronto and performs at festivals around the world. 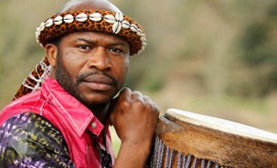 Professional West African Percussionist and Master Drummer of the Djembe and Dundun. Amara has been playing the Djembe since the age of seven. His high-energy and flamboyant playing style captivates and draws audience in. Amara is originally from Guinea and is currently based in Montreal. He also performs with the Kouraba group. 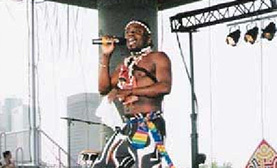 Originally from Ghana, and based in Winnipeg, Coffieman performs a rocking African music and rhythm show complimented with artistic African dance routines. His repertoire incorporates calypso, reggae and hi-life music and dance. 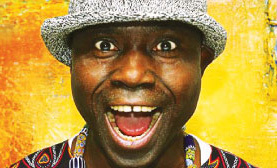 Coffieman is a renowned artist and was a member of the National Dance Company – the Ghana National Dance Ensemble for 11 years. Based in Saskatoon, the Oral Fuentes group is a reggae band that has been extensively involved with the Saskatoon World Music Festival and the Reggaefest Concert Series for several years. They recently performed at the Grey Cup Party in Regina. 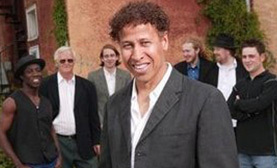 A performing and recording Rocksteady/Reggae/Ska band, relentless in providing soulful tunes. The group’s music is influenced by such greats as Bob Marley and the Wailers, Toots and Maytals, Gregory Isaacs, Sam Cooke and The Selector. 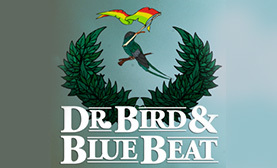 Dr. Bird and Blue Beat is based in Regina. Saskatoon based dance group performs Afro-Caribbean and African dance choreography. Made up of young dancers from various African countries including Zambia, Liberia, Ghana, Nigeria, Kenya and South Sudan, the group performs under the artistic direction of Kahmaria Pingue. 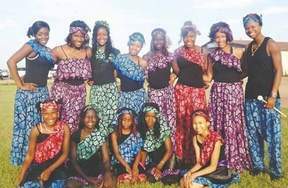 Their repertoire includes: The Park College Fundraiser in Yorkton (2013), the FolkFest Afro-Caribbean pavilion (2012), the Sudanese and Francophone Pavilion (2010/11), FolkFest in Melfort (2010) and the televised Tele-Miracle 33 (2009). 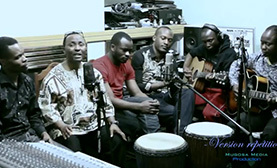 Based in Winnipeg, Manitoba, the ClearVox band is composed of artists from the Democratic Republic of Congo. The group performs soukouss style music as well as composes and sings their own songs inspired by their African heritage. The irresistibly soulful melodies and rhythms will make you want to move and their message of peace, hope and unity resonates with people of all ages and backgrounds. The band has performed at several concerts in Canada and the United States and is actively involved with various humanitarian organizations to help people in disaster areas across Africa.